The Lower Owens Continues to flow as it always has during the end of the winter season. One thing recently different is that it now flows through a some what moon like landscape after a fire swept across the wild trout section and made it just past five rivers bridge. Fishing remains untouched and hatches and bug life is healthy. The entire river from PV campground to South of Bishop is fishing very well. Right around noon we have been cutting off the lead and putting the nymph rigs away for a healthy, and usually river wide, BWO dry fly session. Coming off in #16 -#18 these are a pleasure to fish, easily seen afloat on the water they make a great mark for the Fly Angler and Trout alike. 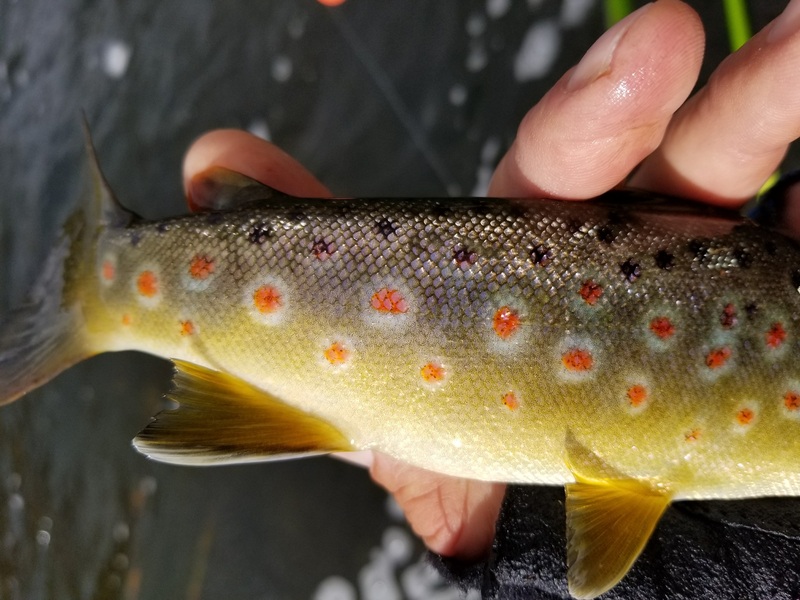 The Trouts bellies have been packed full of Baetis nymphs, free Living Rock worms, and the occasional Midge. The rock worms are up to a size #14, and are everywhere! Check the top of the STM site for constant flow updates and stay tuned as spring spreads herself on the Owens valley and its water ways. The Lower Owens has has some major events recently! A wind driven fire jumped around and burned about 70% of the river bottom from the dam area to below Five bridges last week. Chalk Bluff road is now open and fishing has resumed as normal! The river looks excellent and we were the first ones on the water after the fire and were very pleased with the great results. In other words, not many fish were killed, at all. Flows continue to stay low with clear to semi clear water depending on your location. As the fire was burning we were forced to fish down lower on the river than our usual guiding spots. We were very happy with the results as fish have been relocated throughout the system after the amazing high water experienced a few months ago. The same seasonal flies mentioned in my last report are still enticing the wild brown trout of the Lower Owens. (Caddis Worms, PT variations, Midge larvae and emergers, BWO nymphs and emergers) fish these bugs in sizes #14-#18. Mayflies still come off around noon throughout the river system … Fish rising to these Baetis can be spotty but have been noted recently. Stay tuned for more as this amazing system prepares itself for springtime fishing! Flowing at a healthy rate of around 105cfs, the Upper Owens has yet to turn into the winter wonderland it has been past years during this time of the year. This makes the entire river accessible. Water is slightly off colour with the increase in flow volume. This changes the fishing slightly as the fish feel a little more bold as to where they spend their time. The entire system appears to hold fish. BIG FISH. Reading water is key to success here, also knowing where to allocate your fishing time accordingly are keys for optimum success. Smaller fish can be seen rising to small Caddis and Mayflies here and there. If you can’t get a huge hookup maybe these dinks will humor you…. Fish the same flies as mentioned in my last few Upper Owens Reports and don’t miss any strikes! Have you been waiting for the Lower Owens Flows to drop to easy and accessible flow rates to have a toss at her amazing wild Brown Trout?? Then NOW is the time. 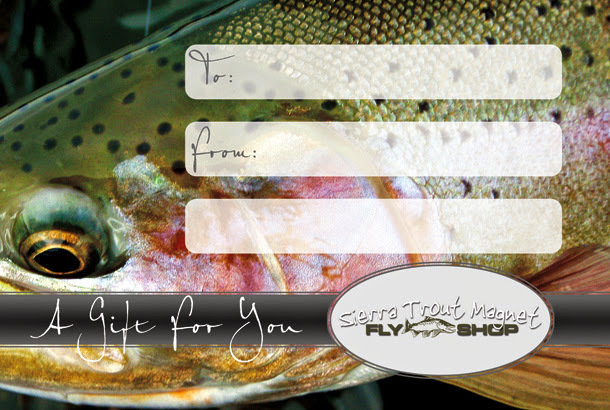 The river is fluctuating around 100 cfs of trout loving sierra water. Lots of big Caddis Worms, Baetis and of course, Midges are out and about. Dry Fly fishing is not yet River Wide but can be found on foam lines and fishy riffles throughout the system. Lots of large caddis worms are being eaten as I will post a picture of a recent stomach pump as well. Its Time to come up to the Lower Owens River! Call the shop fore more details on a guided trip to maximize your days in the Eastern Sierra! So you want to go to the Upper Owens? You heard you can catch a very big fish there? Your Right !! The Upper Owens River continues to produce some of the largest trout you can fish for in a small high meadow stream anywhere in the world! Access is good and flows are optimum. As in my last report the big guys are in the deepest and darkest parts of the River. They entire system is now full of fish, so whatever piece of water you choose to fish its up to you to read the water. Large attractor nymph patterns as well as midge imitations will take fish here when sunk deep and presented in the correct parts of the river. 3x and 4x are the preferred tippet sizes here to have a chance of netting these battling bruisers! Big Fish on the Lower Owens! The nutrient rich flowing waters of the infamous Lower Owens River have dropped to an amazing fishing level of 100cfs!! 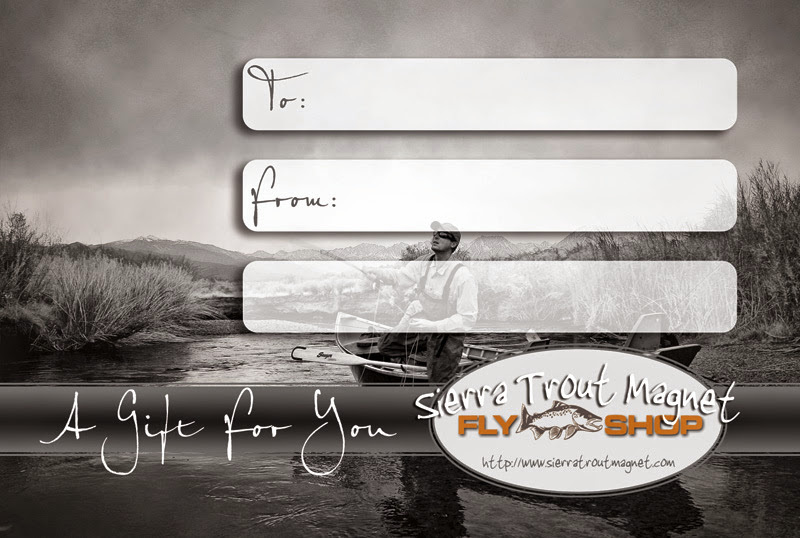 This is what anybody that has waited to to fish this awesome Brown Trout river have been waiting for! The entire river from the bridges in town up to the Wild Trout section and footbridge has been fishing great! Wading is very easy and managable… THE RIVER HAS CHANGED SOMEWHAT .. some holes you once know will not be there now, or may have changed completely. That being said the new river is every bit of what has made the Lower Owens many Fly Angler first choice! Mayflies, Caddis, and Midges can all be fished with success. Some top water activity has been noted and been picking up. Stay tuned for much more as this river is just starting to show us what she has been hiding the last year! Average larger Brown Trout this year! The amazing flowing water that consists of the Upper Owens River has been steadily giving people exactly what they are after this winter of 2018… Big Trout!!! Flows have been hovering around 70cfs for quite some time now as we have received some precipitation recently up on the eastern slope of the Sierra. As in my last post the fish are in the same areas and eating the same things! Access is still fine to most any vehicle. Some with small two wheel drive cars will have to possibly walk farther or risk staying out longer than planned. Choosing how much time to spend in a spot and what spots to fish in will maximize your success in the Upper Owens River winter fly fishing of 2018! Flies to try are ; SJ worms of all varieties and sizes (of course we have our favorites), Jig Headed Czech style nymphs, Green Caddis, Hot head patterns, Lightning Bugs, and many similar attractors. Streamers? Of course! !